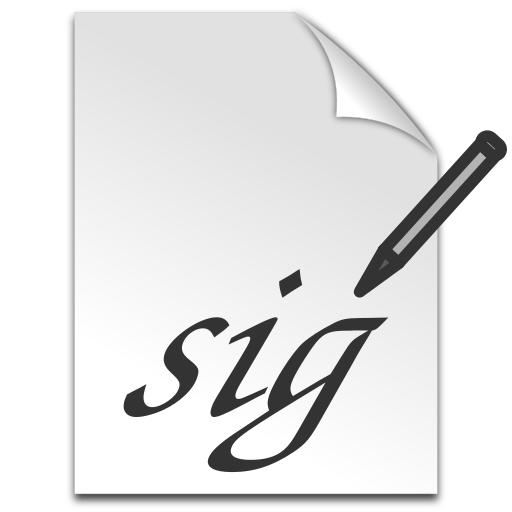 Electronic signature capture library/app for Android. Sign by touching the screen. Start as a normal app for demo/trial. In this mode the app requires internet connection and saves up to 5 signatures per week. For PDF signing check out our free application Fill and Sign PDF Forms. If you are an Android developer and you would like to request a new feature to be implemented, you can do it here. In case you need support with library integration and usage, you can always contact us at the email address here. Excellent product for capturing a signature. My company has integrated it into our proof-of-delivery mobile application and it has always worked great. Exceptional customer service! Great product that allowed us to add functionality to a new site we’re developing. Responsive and appropriate support. Simple solid solution that works well – don’t just take my word for it, download it for free and see for yourself! I started using this product over a year ago to integrate a signature capture software to my web based service engine using Android phones. Binary Solutions was the only company that was able to give me a working product that works seamlessly. Over time we have grown our product into an Android application, and they were able to give us more control and flexibility with signature captures. It took minutes to implement and we’ve captured over 1000 signatures since we started using it. 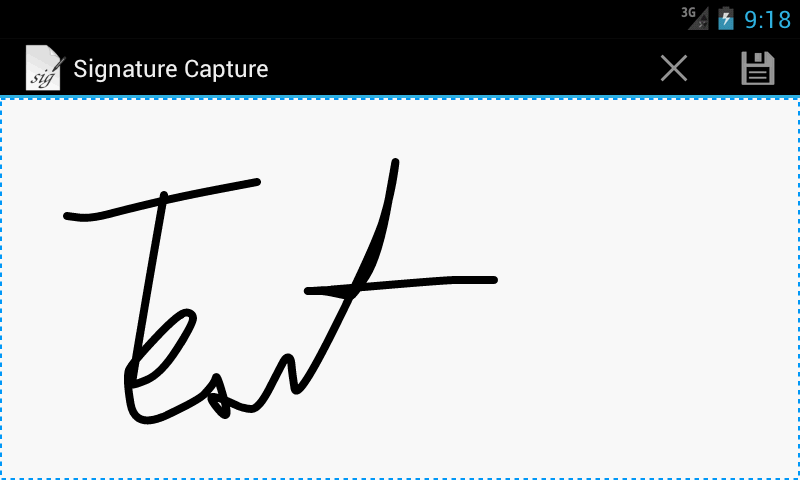 We have integrated this signature capture component into our multi-platform mobile app environment. A good number of our customers have used it in the apps they have built for their users and all have been very happy with it. We strongly advice that you use the free version during the application development and testing. Once you are done, switching to Developer License is an easy process. Integration instructions, usage instructions and license information for Developer License are available in sample package here. Please go through the package before you decide to make a purchase. Sample package does not contain JAR file. You get that one after the purchase. You have to provide the full path name, including the extension (png). The file itself does not have to exist but all directories on the path have to. All file name restrictions that exist for Android (Linux) file system are valid here too. If you would like to see the full working example, you can take a look at our application called Signature Share. It’s source code is released under the Apache License 2.0 and it is available here: Signature Share project home. ‘href’ value has to be in a single line! Example here is in multiple lines in order to fit on screen and be more clear. ‘S.biz.binarysolutions.signature.Title=;’ part is optional, if it is set it has to be encoded, default value is ‘Signature Capture’. ‘i.biz.binarysolutions.signature.StrokeWidth=10;’ part is optional, default value is 8. ‘S.biz.binarysolutions.signature.StrokeColor=FF0000FF;’ part is optional, default value is FF000000. ‘S.biz.binarysolutions.signature.BackgroundColor=FF00FF00;’ part is optional, default value is 00000000 (fully transparent). ‘BackgroundImage’ part is optional, default value is none. If it is given, it has to be properly encoded URL of the background image, i.e. watermark. ‘B.biz.binarysolutions.signature.Crop=false;’ part is optional, default value is true. ‘S.biz.binarysolutions.signature.Width’ and ‘S.biz.binarysolutions.signature.Height’ parts are optional, they represent the capture window width and height, respectively. Default values are max screen dimensions. Allowed units are: px, dp, dip, sp, pt, mm and in. Add your invoice id (if you have purchased the app via Plimus) or transaction id (if you have purchased the app via PayPal) right after ‘ActivationCode=’ and before the first next ‘;’. Look below for more info on handling the uploaded image on server side. ‘SuccessURL’ and ‘FailureURL’ are optional parameters. Depending on the success of signature upload, application user will be directed to one of these two URL’s afterwards. For reference and URL encoding tools, check the HTML URL Encoding Reference (Thanks to Vu Nguyen). What is my activation code/license key? If you have made a purchase via PayPal, use your Transaction ID as an Activation code. In case you have made your purchase through Fastspring, enter Invoice ID instead. One of those two numbers is available in your email purchase statement. How do I activate the license with the key that I already have? 5. in ‘Activate’ dialog enter your activation code. Please type in your activation code as it is, with capital letters and dashes. Copy-pasting sometimes inserts extra white space characters and it doesn’t work. Activation also fails if the activation code has been used earlier on some other device. In this case an automated email is sent to address that was used during the purchase. If this is the case, please check your spam folder. How to transfer a license from one device to an another? You can just type in your activation code on a new device. If there are unassigned licenses left, everything will work as usual. In case there are no licenses left, the activation will fail but an automated email will be sent to email address that was used during the purchase. This mail will contain a list of web links that, when opened, will ‘clear’ a license that is assigned to a particular device. Devices are identified by ID and license activation timestamp. You can find out device ID if you start Signature Capture application, press Menu and then About. A small note: these ID’s are modified by Android system when factory reset is performed. Are there any purchase discounts? Yes, for Standard License there is a 10% discount for purchases of 100 and more licenses. For Developer License there is a 40% discount for version upgrades. How can I know how many unused licenses I have left? Unused licenses will be marked with ‘(free)’. When started from web, after every capture is a new tab in the browser opened. Is there something I can do to stop this? depends on the version of Android OS and the browser that is used. How can I access my invoice for purchase made via Fastspring? Replace the last part of the URL with your actual activation code. I have saved a signature but the image is all black, why is that so? Captured signature is placed on transparent background. Some image viewers that are running on Android devices show transparent background as black, and that’s why you see nothing. If you transfer the image to your PC, or open it with some other viewer, you’ll see that it’s captured correctly.